Join us for Cincinnati’s Day of Puppetry 2018 on October 20, 2018, from 10 AM until 12 PM at Happen Inc 4201 Hamilton Avenue in Northside. This annual FREE event is open to everyone, no registration required. There will be Halloween themed puppet performances by guild members, puppet displays, and you can make your own puppet from 12 PM until 5 PM. 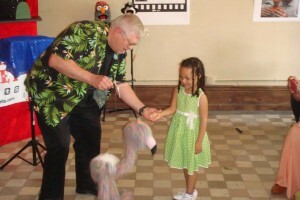 We look forward to seeing you at the Day of Puppetry!